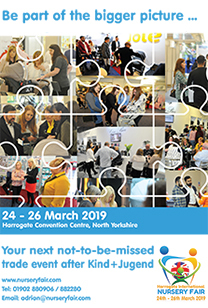 The UK Pavilion in Hall 4.1 of Koelnmesse at Kind+Jugend will be a focal point of the show for visitors looking for top quality baby products with a warm welcome from British exhibitors which includes over 50 members of the UK’s Baby Products Association. Come along and check out the latest ‘must have’ baby products from pushchairs and car seats, to feeding, sleeping and bathing equipment, toys and gifts and much more. Visit the website HERE for a full list of exhibitors and; if you attend the show on Thursday 20th September, come and join the Association and its exhibitors for a free drink from 6pm. 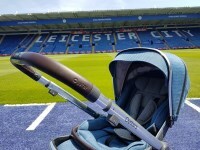 NIPA Baby Ltd comprises a family of brands and was created by innovative children’s products inventors to combat copy products and provide mutual industry support. The Nursery Industry Productpreneurs Association is dedicated to inventors turned entrepreneurs offering original products. NIPA Baby products have been developed by parents, balancing life as entrepreneurs whilst raising families. The five NIPA Baby brands in the UK Pavilion are Tidy Books (children’s bookcases), Fill ‘n’ Squeeze (reusable baby weaning pouches), Snugglebundl (car seat blanket), Sock Ons (to keep baby socks on) and Baby Nails (The Thumble wearable baby nail file). TotsBots manufactures an award-winning range of reusable nappies, wraps and Bloom & Nora menstrual products in its own factory in the UK, using ethically sourced fabrics. It is one of the only nappy companies in the world to have its whole range certified to Oeko-tex 100 (class 1 standard for baby items). This certification guarantees that no harmful chemicals are present in its garments or any of its materials – right down to the thread used for stitching. Established in 2000 TotsBots realises the environmental and performance benefits of bamboo fibre as a replacement for cotton and will be presenting its eye-catching range of reusable absorbent hygiene products, including the latest ‘Elements’ print range. 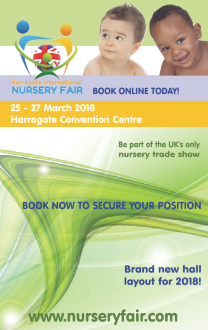 The TotsBots teams looks forward to welcoming you to its stand and is looking for global retailers for its entire range. BabyStyle UK Ltd has great pleasure in displaying its award-winning Oyster portfolio in the Baby Products Association’s UK Pavilion. Taking pride of place and centre stage on the stand this year will be the entire colour collection of the all new Oyster3, also featuring alongside the Oyster3 will be other members of the extended Oyster family. Visitors to the BabyStyle Oyster stand will also be able to see the Oyster Carapace i-Size infant & toddler car seat collection and take advantage of some special Kind + Jugend show deals.